© 2019 Jaguar Land Rover Canada ULC. 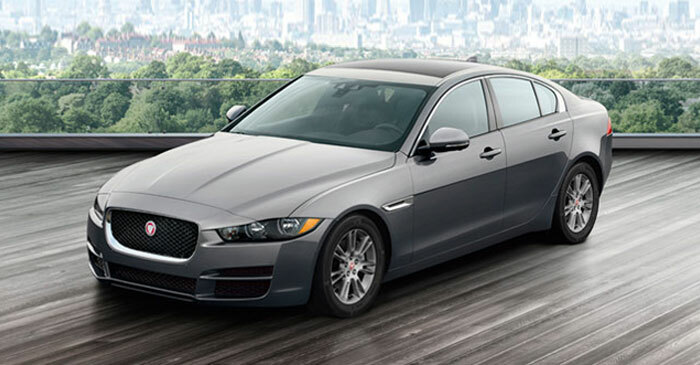 *Purchase finance a new (in stock) 2018MY XE PREMIUM 25t AWD for up to 72 months for qualified buyers, on approved credit (OAC) from Jaguar Canada Financial Services. Not all buyers will qualify for the lowest APR. For example, finance a 2018 XE PREMIUM 25t AWD starting from $46,586 (including freight $1,600 and PDI $495, admin fee $395, A/C Charge $100 and RDPRM fee including agent fees of up to $96) at 0.9% APR (effective rate of 7,68%) for 72 months, monthly payment is $518 with $5,999 down payment or equivalent trade-in and after $4,280 Jaguar Credit and Retailer Credit applied. **Manufacturer discount of $7,500 to retailer is available on cash purchase of a 2018MY XE PREMIUM 25t AWD and will be deducted from selling price before taxes. Cost of borrowing is $975 and total to be repaid is $43,281. Registration, license, insurance, and all applicable taxes are extra and due upon signing. Down payment is due at delivery. Offers expire April 30, 2019. Offer may be cancelled at any time without notice. Vehicle may not be exactly as shown. Retailers are free to set their own prices. Visit your Jaguar Authorized Retailer for full details. © 2019 Jaguar Land Rover Canada ULC. 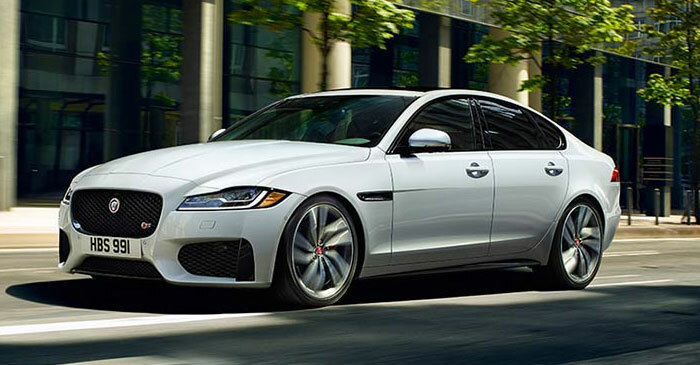 *Lease with Jaguar Canada Financial Services a new (in stock) 2019MY XF Premium 25t (2.0 Petrol) starting from $61,767 (including freight $1,600 and PDI $495, admin fee $395, A/C Charge $100 and RDPRM fee including agent fees of up to $96) for $828 per month based on a 48 month lease, with $6,999 down payment and after $1,050 combined Land Rover and retailer lease discount applied. Duties on new tires, registration, license, insurance and all applicable taxes are extra. Down payment, duties on new tires and first payment due at delivery. A mileage restriction of 64,000km over 48 months applies. A charge of 25 cents per km over mileage restriction applies plus applicable taxes. **Manufacturer discount of $5,000 to retailer is available on cash purchase of a 2019MY XF Premium 25t (2.0 Petrol) and will be deducted from selling price before taxes. Offers cannot be combined with any other offers. Offers available to qualified retail customers ending April 30, 2019 . Special order may be required. Offer may be cancelled at any time without notice. Vehicle may not be exactly as shown. Retailers may sell or lease for less. Visit your local Jaguar Retailer for full details. © 2019 Jaguar Land Rover Canada ULC. 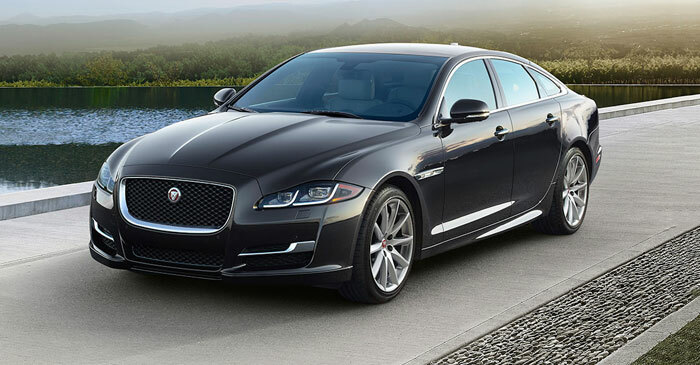 *Lease with Jaguar Canada Financial Services a new (in stock) 2019MY XJ R-Sport SWB (3.0 V6 Petrol) starting from $96,167 (including freight $1,600 and PDI $495, admin fee $395, A/C Charge $100 and RDPRM fee including agent fees of up to $96) for $1,088 per month based on a 42 month lease, with $9,999 down payment and after $9,550 combined Jaguar and retailer lease discount applied. Duties on new tires, registration, license, insurance and all applicable taxes are extra. Down payment, duties on new tires and first payment due at delivery. A mileage restriction of 56,000km over 42 months applies. A charge of 30 cents per km over mileage restriction applies plus applicable taxes. **Manufacturer discount of $10,000 to retailer is available on cash purchase of a 2019MY XJ R-Sport SWB (3.0 V6 Petrol) and will be deducted from selling price before taxes. Offers cannot be combined with any other offers. Offers available to qualified retail customers ending April 30, 2019 . Special order may be required. Offer may be cancelled at any time without notice. Vehicle may not be exactly as shown. Retailers may sell or lease for less. Visit your local Jaguar Retailer for full details. © 2019 Jaguar Land Rover Canada ULC. 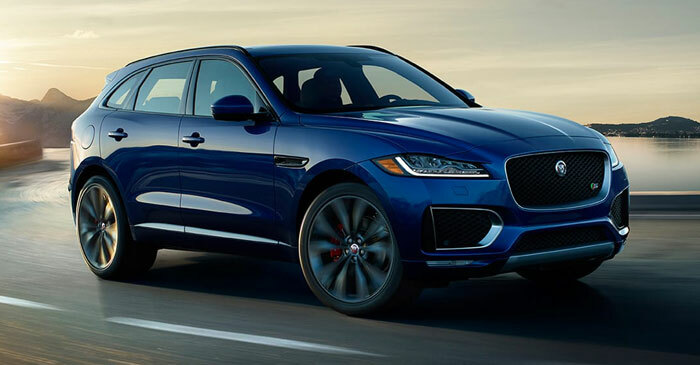 *Lease with Jaguar Canada Financial Services a new (in stock) 2019MY F-PACE Premium 25t (2.0 Petrol) starting from $54,817 (including freight $1,700 and PDI $495, admin fee $395, A/C Charge $100 and RDPRM fee including agent fees of up to $96) for $538 per month based on a 42 month lease, with $5,999 down payment and after $2,983 combined Jaguar and retailer lease discount applied. Duties on new tires, registration, license, insurance and all applicable taxes are extra. Down payment, duties on new tires and first payment due at delivery. A mileage restriction of 56,000km over 42 months applies. A charge of 25 cents per km over mileage restriction applies plus applicable taxes. **Manufacturer discount of $2,000 to retailer is available on cash purchase of a 2019MY F-PACE Premium 25t (2.0 Petrol) and will be deducted from selling price before taxes. Offers cannot be combined with any other offers. Offers available to qualified retail customers ending April 30, 2019. Special order may be required. Offer may be cancelled at any time without notice. Vehicle may not be exactly as shown. Retailers may sell or lease for less. Visit your local Jaguar Retailer for full details. © 2019 Jaguar Land Rover Canada ULC. *Lease with Jaguar Canada Financial Services a new (in stock) 2019MY F-TYPE Coupe i4T (296hp) RWD Auto starting from $72,067 (including freight $1,600 and PDI $495, admin fee $395, A/C Charge $100 and RDPRM fee including agent fees of up to $96) for $648 per month based on a 42 month lease, with $7,999 down payment and after $7,775 combined Jaguar and retailer lease discount applied. Duties on new tires, registration, license, insurance and all applicable taxes are extra. Down payment, duties on new tires and first payment due at delivery. A mileage restriction of 56,000km over 42 months applies. A charge of 30 cents per km over mileage restriction applies plus applicable taxes. 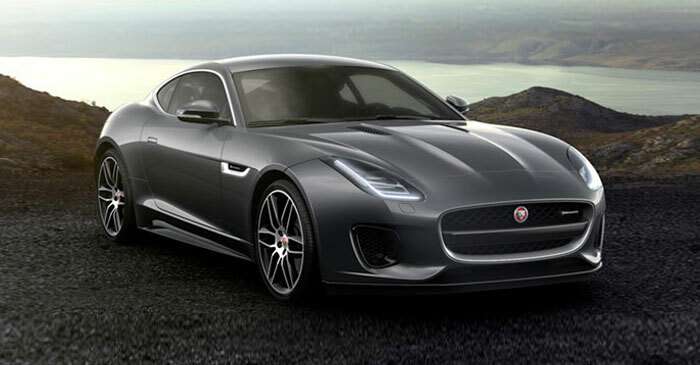 **Manufacturer discount of $4,000 to retailer is available on cash purchase of a 2019MY F-TYPE Coupe i4T (296hp) RWD Auto and will be deducted from selling price before taxes. Offers cannot be combined with any other offers. Offers available to qualified retail customers ending April 30, 2019. Special order may be required. Offer may be cancelled at any time without notice. Vehicle may not be exactly as shown. Retailers may sell or lease for less. Visit your local Jaguar Retailer for full details. © 2019 Jaguar Land Rover Canada ULC. *Lease with Jaguar Canada Financial Services a new (in stock) 2019MY F-TYPE Conv. i4T (296hp) RWD Auto starting from $75,056 (including freight $1,600 and PDI $495, admin fee $395, A/C Charge $100 and RDPRM fee including agent fees of up to $96) for $598 per month based on a 36 month lease, with $7,999 down payment and after $11,100 combined Jaguar and retailer lease discount applied. Duties on new tires, registration, license, insurance and all applicable taxes are extra. Down payment, duties on new tires and first payment due at delivery. A mileage restriction of 48,000km over 36 months applies. A charge of 30 cents per km over mileage restriction applies plus applicable taxes. 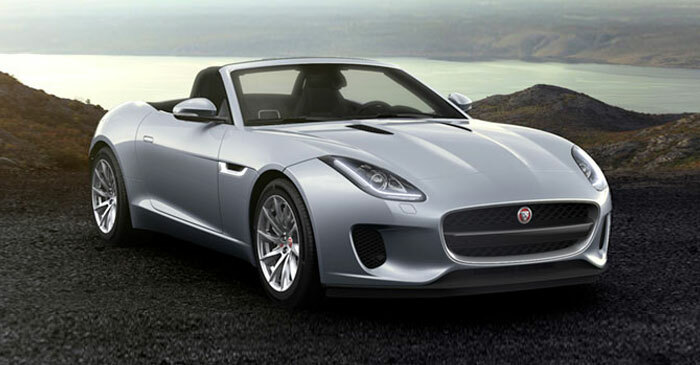 **Manufacturer discount of $4,000 to retailer is available on cash purchase of a 2019MY F-TYPE Conv. i4T (296hp) RWD Auto and will be deducted from selling price before taxes. Offers cannot be combined with any other offers. Offers available to qualified retail customers ending April 30, 2019. Special order may be required. Offer may be cancelled at any time without notice. Vehicle may not be exactly as shown. Retailers may sell or lease for less. Visit your local Jaguar Retailer for full details. © 2019 Jaguar Land Rover Canada ULC. 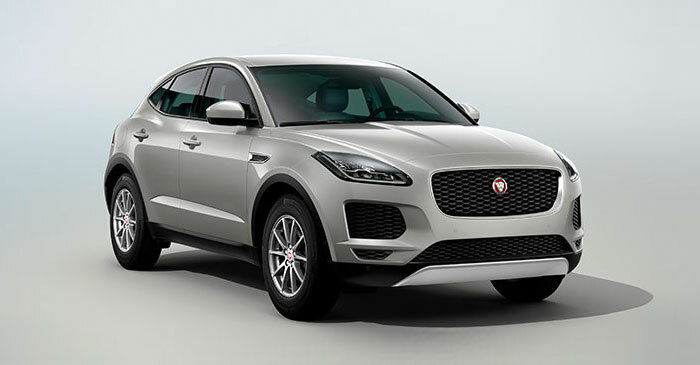 *Lease with Jaguar Canada Financial Services a new (in stock) 2019MY E-PACE SE (P250) starting from $52,906 (including freight $1,700 and PDI $495, admin fee $395, A/C Charge $100 and RDPRM fee including agent fees of up to $96) for $528 per month based on a 36 month lease, with $5,999 down payment and after $2,922 combined Jaguar and retailer lease discount applied. Duties on new tires, registration, license, insurance and all applicable taxes are extra. Down payment, duties on new tires and first payment due at delivery. A mileage restriction of 48,000km over 36 months applies. A charge of 20 cents per km over mileage restriction applies plus applicable taxes. Offers cannot be combined with any other offers. Offers available to qualified retail customers ending April 30, 2019 . Special order may be required. Offer may be cancelled at any time without notice. Vehicle may not be exactly as shown. Retailers may sell or lease for less. Visit your local Jaguar Retailer for full details. © 2019 Jaguar Land Rover Canada ULC. 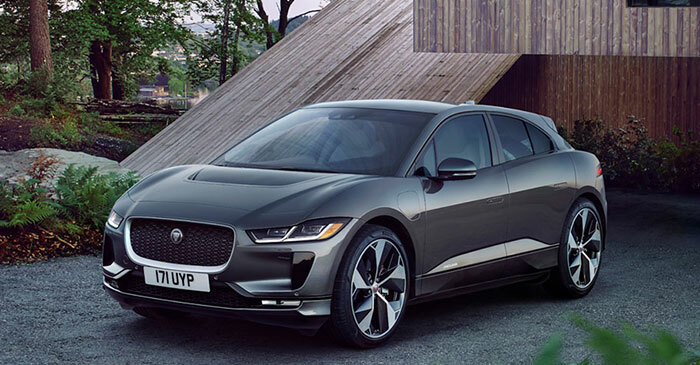 *Lease with Jaguar Canada Financial Services a new (in stock) 2019MY I-PACE S (EV400) starting from $89,317 (including freight $1,750 and PDI $495, admin fee $395, A/C Charge $100 and RDPRM fee including agent fees of up to $96) for $1,238 per month based on a 48 month lease, with $7,999 down payment and after $350 combined Jaguar and retailer lease discount applied. Duties on new tires, registration, license, insurance and all applicable taxes are extra. Down payment, duties on new tires and first payment due at delivery. A mileage restriction of 64,000km over 48 months applies. A charge of 25 cents per km over mileage restriction applies plus applicable taxes.Offers cannot be combined with any other offers. Offers available to qualified retail customers ending April 30, 2019 . Special order may be required. Offer may be cancelled at any time without notice. Vehicle may not be exactly as shown. Retailers may sell or lease for less. Visit your local Jaguar Retailer for full details.